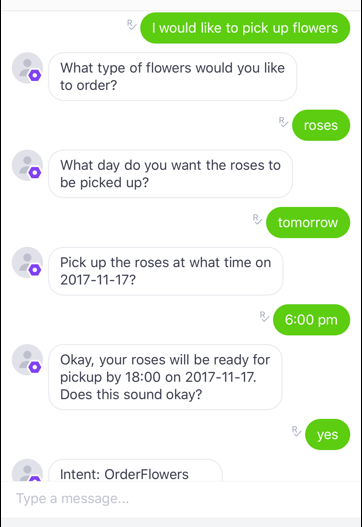 Now that you have created an association between your Amazon Lex bot and Kik, you can use the Kik app to test the association. Start the Kik app and log in. Select the bot that you created. As you enter each phrase, your Amazon Lex bot will respond through Kik with the prompt that you created for each slot.